Message: “No alcohol, for January, for Cancer Research UK”. 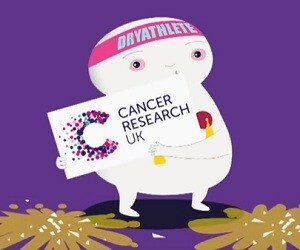 HP: “This animated ad from CRUK shows us that although Dryathletes are giving up booze for January, they are still getting up to all sorts of fun. Not drinking for a month is simply removing one vice temporarily from life. In fact, it’s a good excuse to really push the boat out and make January even more colourful by unleashing your hidden pleasures”.